Other people all have an opinion about whether you should still be driving. Your children, your grandchildren, and your doctor may be concerned about your safety on the road. You are concerned about that too, but you are also worried about maintaining your independence. There is no set age at which everyone needs to stop driving. Instead, the decision needs to be based on the individual health, ability, and comfort level of each driver. That said, if you are a senior citizen, there are certain things you need to know before you decide whether or not to renew your driver’s license and insurance. Georgia has special license renewal laws for older drivers. Once you reach age 59, your license must be renewed every five years. Additionally, online renewals are not allowed for people age 64 years old or older. Beginning at age 64, a vision test is required when renewing a Georgia driver’s license. Written tests and road tests are only required when a doctor, loved one, or other person contacts the Georgia Department of Driver Services with a concern that the older driver seeking to renew his or her license has become an unsafe driver. You should consult your doctor before making a decision. The body changes as a person ages. 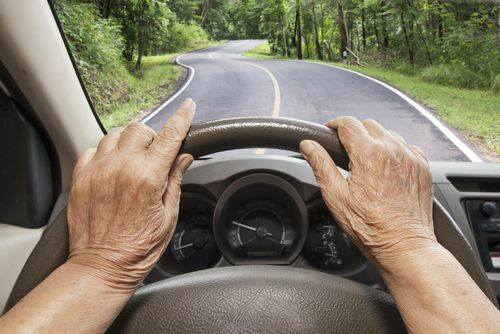 While that progression is unique for each individual, older drivers should be aware of any changes in their hearing, vision, reflexes, balance, or cognitive skills that may make driving more dangerous. Doctors are in a unique and unbiased position to provide you with accurate information about your physical condition and about whether driving is still a safe activity for you. Changes can be made to make you and your car safer. Not all cars are the same. Some of the technology in newer cars can be confusing and unnecessary for older drivers. Programs through organizations like AAA and AARP can help older drivers find the right car for them. Additionally, educational programs are available that are geared toward the needs of older experienced drivers rather than new drivers. Despite the risks of being an older driver, there are also some benefits. According to the Centers for Disease Control and Prevention (CDC), older drivers are less likely to drive under the influence of alcohol, they are more likely to wear their seatbelts, and they are more likely only to drive when the weather conditions are favorable. The CDC also points out that while the risk of death begins to increase around age 70 and is highest among drivers aged 85 and above, the risk may be because the drivers are more susceptible to injury and resulting complications and not because these drivers cause more accidents. Thus, you may face similar risks if you are a passenger in a car rather than the driver of the vehicle. You need to weigh the information provided above together with information provided by your doctor and your loved ones before you can decide whether or not you should continue driving. Then, you need to make the decision that is right for you. Additionally, you need to know that if you are involved in an accident, your age does not automatically make you at fault for the crash. A full investigation into the cause of your crash will need to be completed and, if another driver was the one who caused your accident, you need to act quickly to protect your rights. Your time to file a claim is limited. Please talk to an experienced car accident lawyer today to make sure that your rights are protected and you get the recovery that you deserve.